"Enclosed of the hills of Mount Abu, Kishangarh House is one of the most popular heritage hotels in Mount Abu, Rajasthan. This luxury heritage property is placed on a terraced plateau offering the view of the south-west scenery. It was built in 1894 and was formerly known as Victoria House. It was used as a summer resort by Maharajas of Kishangarh. Now turned into a heritage hotel, it enjoys is an ideal location of being close to a number of important sights including Polo Ground and the Main Street. 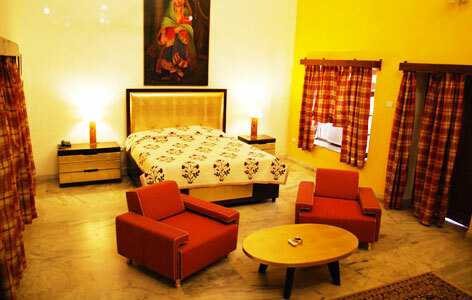 The rooms and cottages boat of a royal decor and offer a pleasant stay, amid modern comforts. The food served at the on-site restaurant is delightful. One of the most popular heritage hotels of Mount Abu, Kishangarh House was originally known as the Victoria House and was erected in the year 1894. It was used as the summer residence by the Maharajas of Kishangarh. Spread in an area of 5 acres of land, the property is enclosed by Palm, Silver Birch and Mango trees. 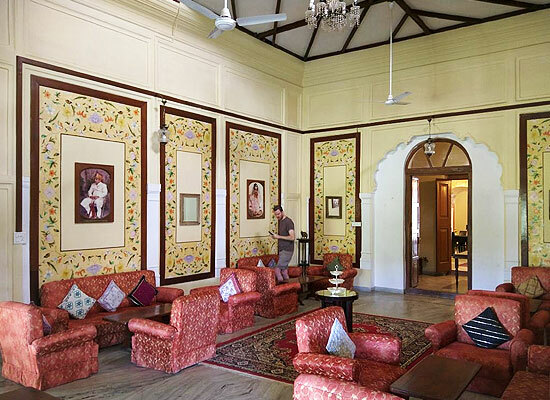 The accommodation at Kishangarh House is segregated into Deluxe Rooms (6) and Cottages (8) that boast of an elegant décor. All the rooms offer a stunning view and a royal warmth. While the amenities are modern, the furnishings are vintage. Telephone, Cable television, en-suite bathroom with hot/cold water are some of the facilities offered here. A fireplace, frescos, and teak wood ceiling can be seen in all the cottages and rooms. 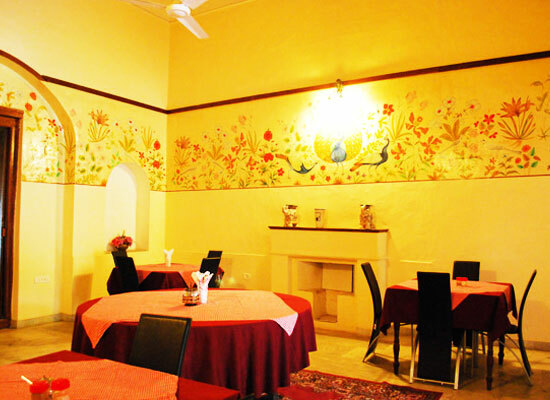 Kishan Garh, Mount Abu’s heritage hotel has an on-site multi-cuisine restaurant that serves lip-smacking dishes of Indian and popular global cuisines. Recipes from the royal kitchen is the specialty. Treat your eyes to the amazing décor and enjoy the impeccable services of the staff. Mount Abu is the only hill station in the royal desert state of Rajasthan. 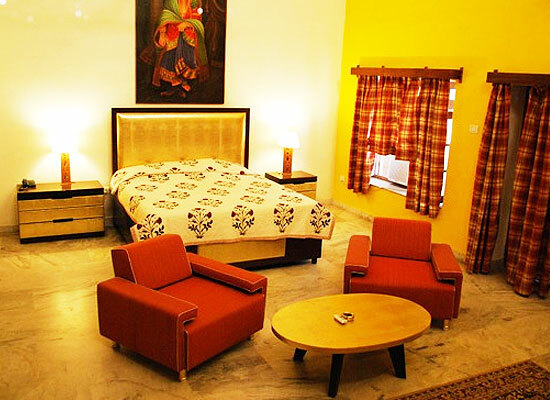 The place has been blessed with serene ambiance, pleasant weather and wonderful locales. 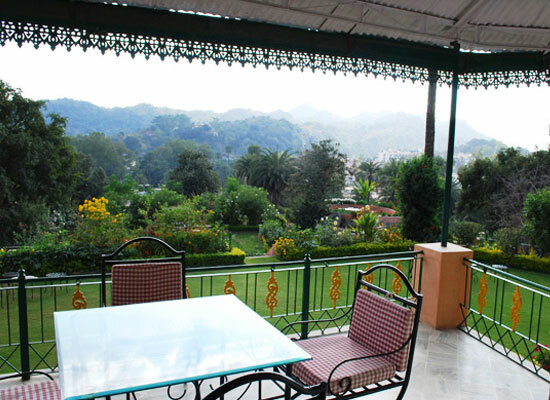 The heritage hotel of Mount Abu, Kishangarh House is close to a number of popular attractions such as Nakki Lake, Adhar Devi temple, Peace Park, Doodh Baori and Sunset Point.